Wick Football Club were crushed 16-0 by rivals Chichester City in a pre-season friendly at Crabtree Park yesterday. 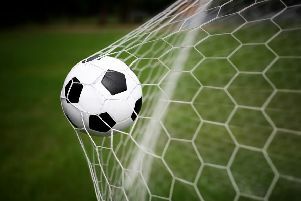 Lee Baldwin's Southern Combination League Division 1 outfit Wick welcomed division-higher SCFL Premier Division Chi and were on the wrong end of a thumping. Chichester City, managed by Miles Rutherford, showed why they could mount a challenge for promotion this season. Wick were 5-0 down at the break before going on to concede 11 goals after the restart. It was City's first pre-season friendly while Wick went in to it full of confidence having beaten Chi's league rivals East Preston 3-2 days earlier. Wick will be looking to bounce back with some positive results ahead of what they hope will be a successful SCFL Division 1 campaign.